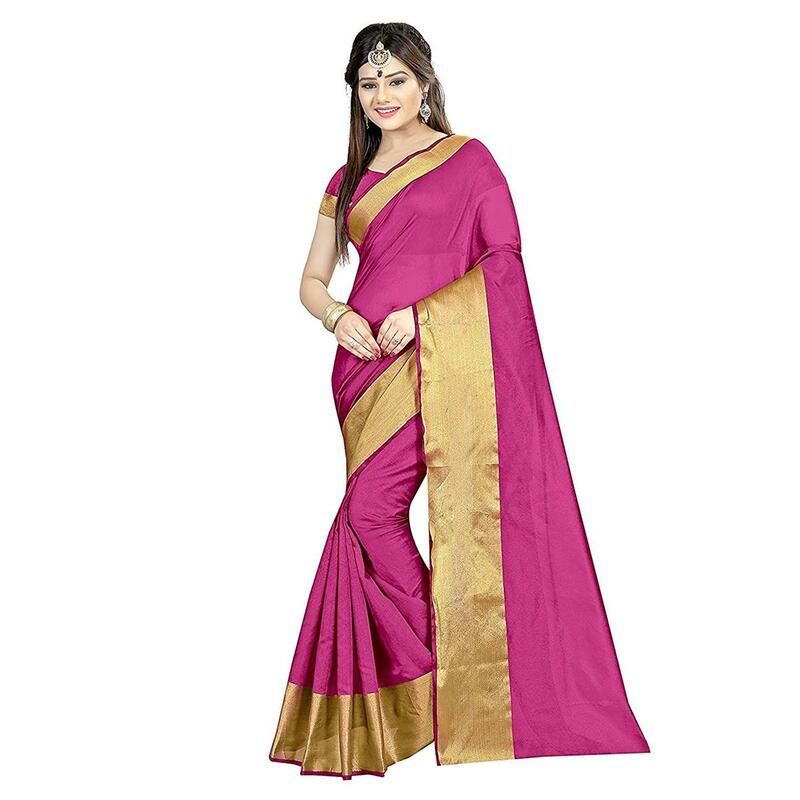 This pink colored saree is quite simple in its appearance, showcasing contrast color zari weaved border work done over art silk fabric. 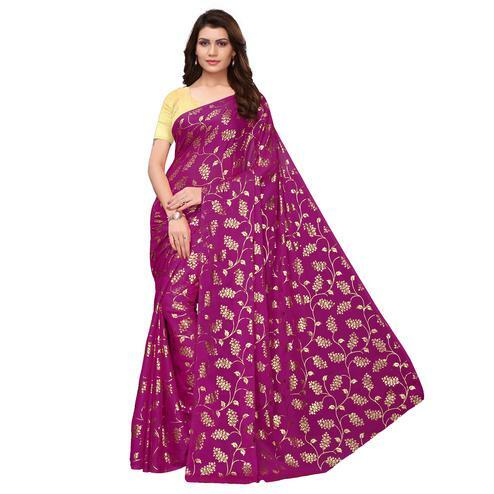 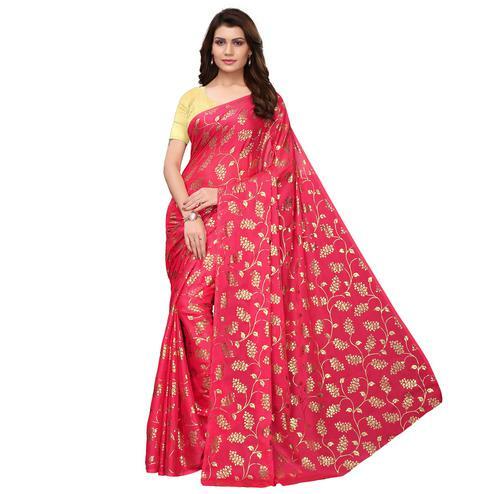 This saree is a right choice for traditional functions & casual events. 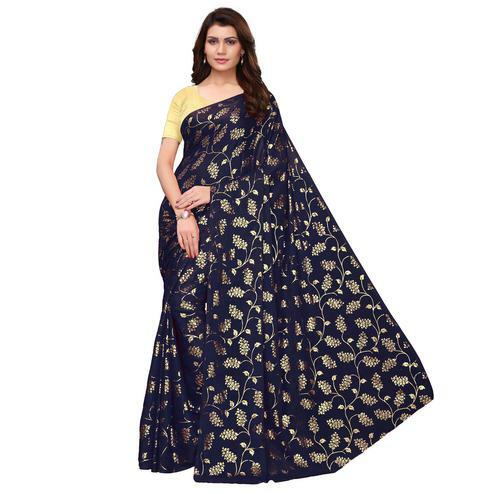 Saree paired with an unstitched blouse.